The problem of pain in children has received little attention in the medical and psychological literature. In contrast to the wealth of information concerning theory research, and clinical application in the area of pain management with adult patients, the literature on assessment and management of children’s pain is characterized almost exclusively by anecdotal reports and by the absence of systematic, controlled research. The paucity of relevant literature on pediatric pain was illustrated by Eland and Anderson (1977) who conducted a thorough search of the medical literature on pain from 1970 and 1975. The search revealed 1350 articles on pain, yet only 33 of these dealt with pediatric pain. Furthermore, the 33 articles were almost all related to differential diagnosis or specific diagnostic examinations to be done and contained little or no data on assessment or treatment of children’s pain behaviors. Since 1975, psychologists have begun to address the problem of pain in children through research as well as clinical application. 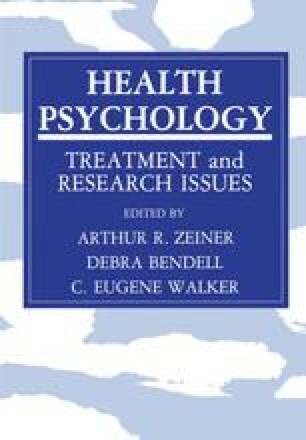 The purpose of this chapter is to provide a concise overview of the psychological literature on assessment and intervention in pediatrics.